I’m really excited about this new DIY, inspiration came to me so suddenly and I’m in love with the result – even if I do say so myself ! As you can see below, this project is – yet again – easy to do yourself. 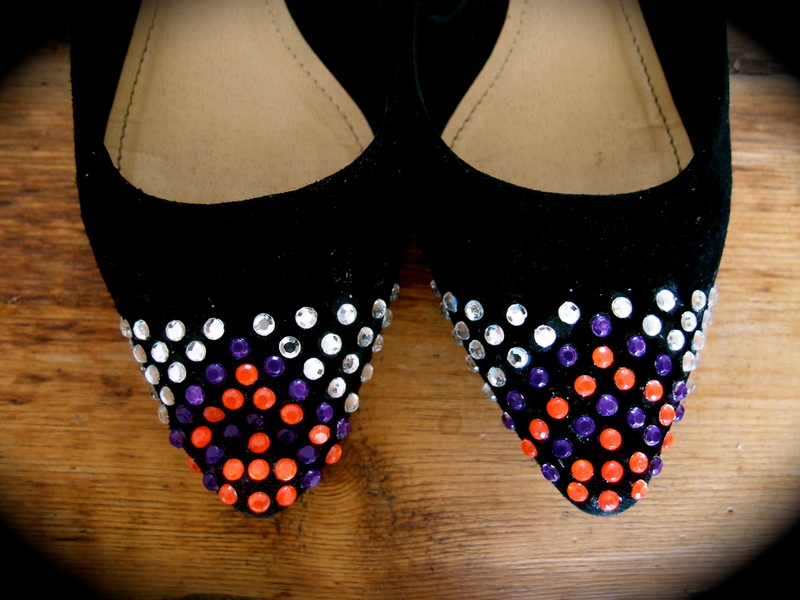 All you need is a pair of flats, some nail polish, some rhinestones, some glue (modpodge / gem glue) and a little imagination ! Je suis vraiment fière de ce nouveau DIY, d’autant plus que l’idée m’est venue soudainement et que j’adore le résultat ! Comme vous pouvez le voir ci-dessous, le projet est – encore une fois – facile à reproduire chez vous. Il faut simplement une paire de ballerines, du vernis, quelques strass, de la colle et un peu d’imagination ! If you’re a little nervous about the design try it out with some felt tips on paper before you start. If you’re like me (“can’t wait, won’t wait”), give it a whirl and follow your instict, you’ll come up with something pretty cool, I’m sure ! Si vous aimez prévoir avant de commencer, essayez plusieurs designs sur feuille avec des feutres. Si vous êtes comme moi (tout simplement IMPATIENTE), lancez-vous directement ! 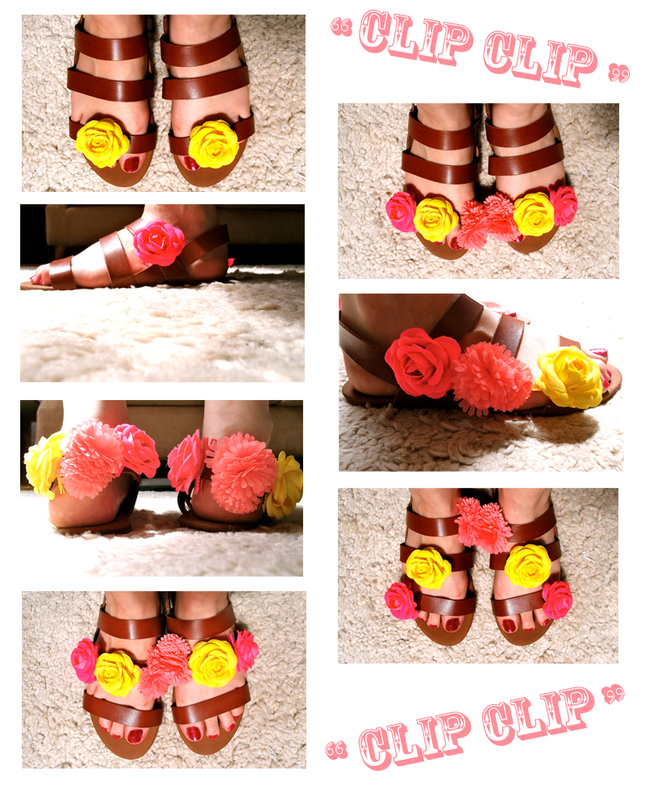 After establishing artificial flowers were this Summer’s favorite kitch accessory, as well as showing you how to make a DIY flower headband, I decided to upcyle a pair of simple leather sandals with the same fabric flower clips. This DIY takes literally seconds and yet the result is a brand new pair of sandals – in fact loads of brand new pairs of sandals ! Arrange the flower clips anyway you like and off you go ! 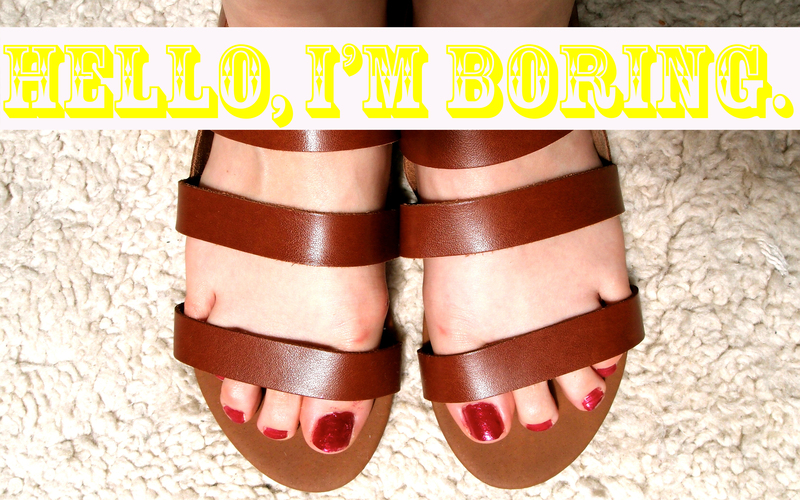 Here are the sandals + seven of my ideas. Après vous avoir présenté la tendance la plus kitsch de l’année qui consiste en une multitude de fleurs artificielles sur tout et n’importe quoi, ainsi que vous avoir montré comment créer votre propre serre-tête fleuri, j’ai eu l’idée d’utiliser ces mêmes fleurs en tissu pour customiser mes sandales ! Le principe est simple et pourtant en résultat vous avez une nouvelle paire de pompes – ou plusieurs même ! Vous n’avez qu’à clipper les fleurs sur les sandales où vous le souhaitez, fastoche. Voici mes sandales + sept idées de customisation. This is definitely a call for some serious DIY fashion ! Keep reading and I might through some together some time ! 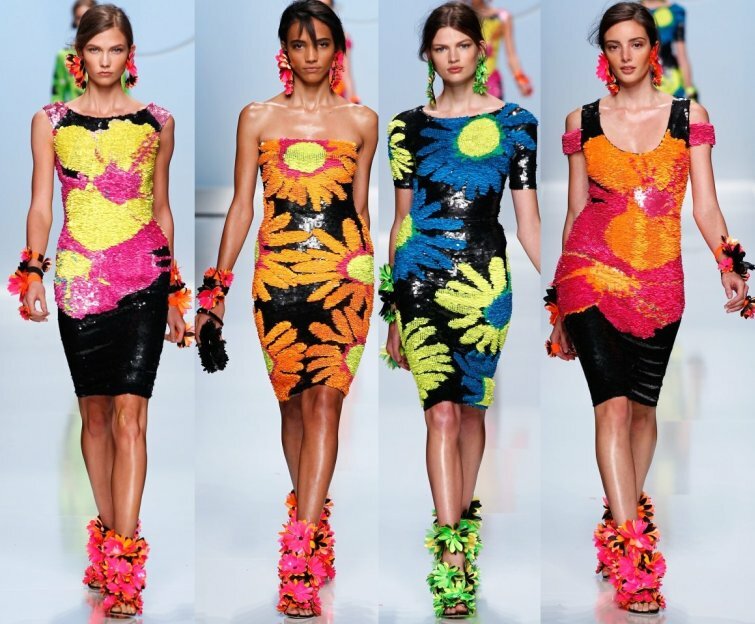 Designers seem to be making it easy to DIY the latest fashion this year… Take a look at these Blumarine heels ! I’m not so keen on the colourful ones, but the white are rad ! 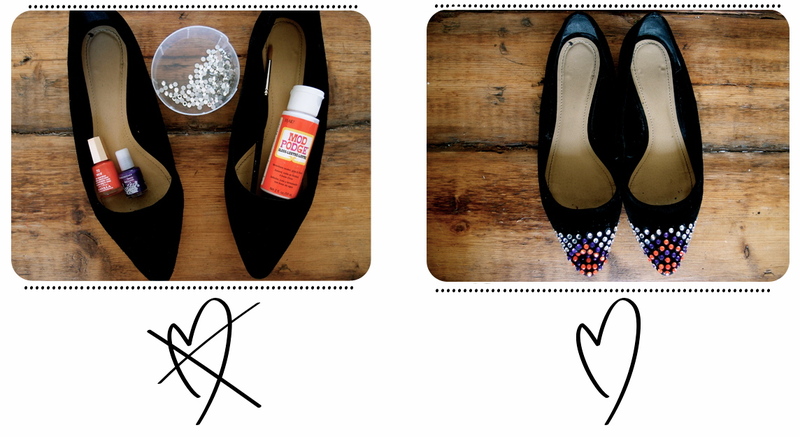 “Like” if you would like a DIY tutorial on how to make your own ! 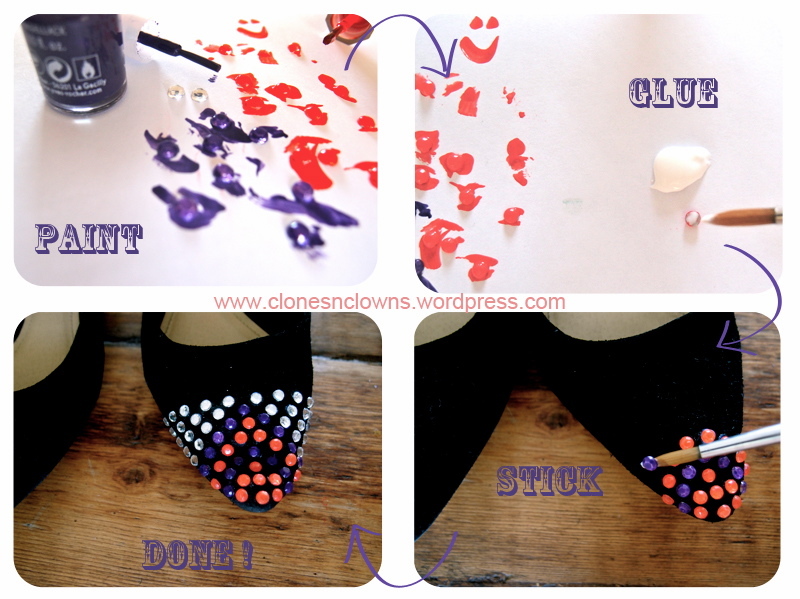 Here is my first DIY post in the Feet category and I have to say I am pretty proud. 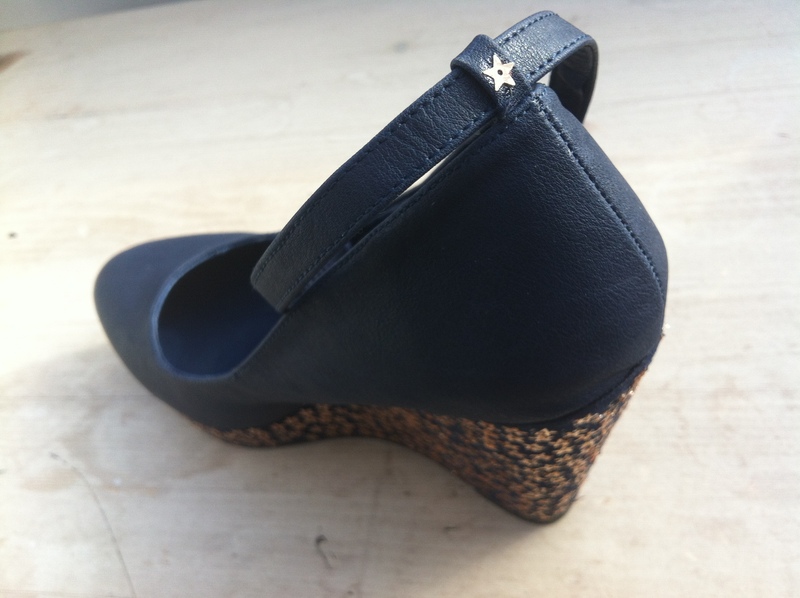 I have called them my Walk of Fame Wedges, for obvious reasons, and love the way they shine even in day light ! The blue goes with a lot of my clothes and easily suits denim slims. It is also particularly in this summer so I will definitely be getting some use out of these beauties ! They’re high but easy enough to walk in so I will be showing them around London ASAP. I keep seeing them everywhere, and just received the daily UO newsletter that made me think, THAT’S IT, I’m getting me a pair of these babies ! So I clicked, and saw the price. The three-figure price. And thought again. But not to worry, I have scribbled it down in my Inspiration Book and will be planning a DIY session ASAP. Lightening bolt heels it will be ! Here’s a look at the Atalanta Weller ones that have inspired me whilst you wait, available on UO if you can’t wait. P.S. Keep reading my blog. Attention, attention ! 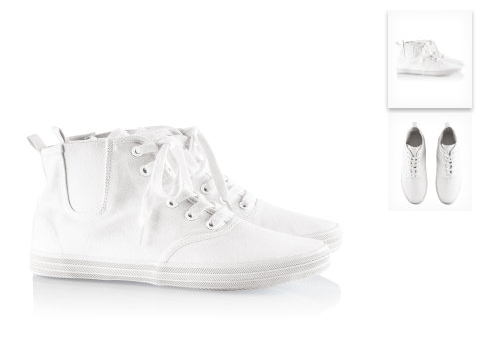 H&M have brought out a pair of plain white sneakers – ideal for DIYers like ourselves : ) They’re £9,99 so there’s no worrying about messing it up, just give it your best shot and let me know what you come up with ! You can even try a few pairs at that price – go wild !! I’ve ordered mine so keep reading to see what I come up with !